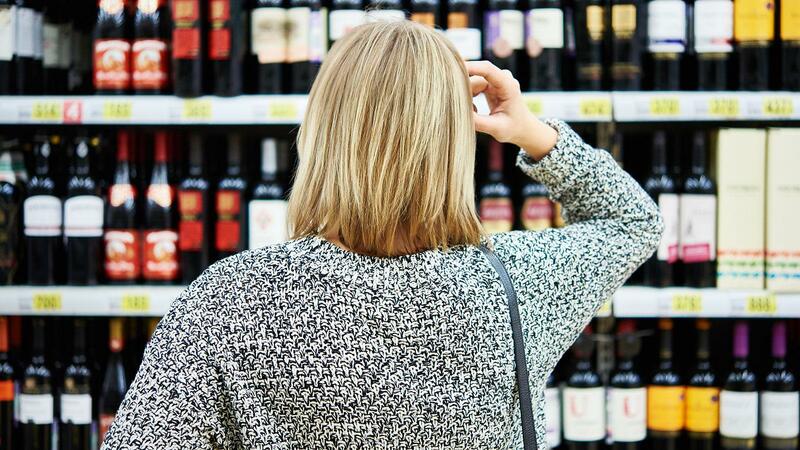 Shopping for wine among a sea of labels and prices can be overwhelming. From time to time, a friend will reach out to me for wine advice. I always imagine them stranded in a wine shop when they do … who knows what kind of wine-related panic they could have gotten into. The other day, my friend Alex wrote: "Is there a threshold price-point for high-quality wine, and above that threshold there's diminishing returns? For example, a $20 bottle is better than $8 but a $50 bottle is not that different from $20?" It's a great question with no simple answer. I started by telling her that you don't need to spend more than $20 to get a great bottle of wine. I've found this true time and time again. Among the bottles I bought most recently was my favorite Spanish Albariño, the Agro de Bazán Rias Baixas Granbazán Etiqueta Ambar, for $17. I also picked up three fun Croatian wines for the World Cup final, from producers Enjingi, Kozlović and Ivica Piližota, all great discoveries for under $20 each. So why ever pay more? Well, you don't necessarily have to. Some consumers are willing to pay a premium for certain factors, while others are not. It's very personal. I told my friend that it's similar to, say, an Equinox gym membership (approximately $3,000 a year) and the NYC Parks and Recreation center I swim at ($150 a year). Yes, Equinox is a lot cleaner, has many amenities, supplies towels and hairdryers, and doesn't have a boiler that breaks every winter; none of these are true of my Parks and Rec. But these luxuries are not what I choose to spend my disposable income on. Do I spend $3,000 on great food and wine every year? You bet. Many things can make one wine more expensive than the other, so why might someone find a higher price tag worthwhile? I walked my friend through a few basics of wine economics. There are the actual costs of growing the grapes and making the wine, and then there is the matter of supply and demand. What's key is that fine wine comes from a specific place, and that sense of place is what makes certain wines special—this also means that the amount that can be made of this wine is finite. Some vineyards and grape varieties are more prestigious, popular or scarce than others. Along with the size of a place, scarcity is also determined by factors such as how difficult the grapes were to grow, or natural disasters such as frost, hail or drought. Take grand cru red Burgundy as an example. The region carries a lot of prestige: The terroirs are praised as among the best in the world. Plots of grand cru vineyards are worth a lot of money, albeit rarely available for purchase. The individual crus are small, don't produce a lot of grapes and are further subdivided into smaller plots, each owned by a different producer, making each wine all the rarer. On top of that, Pinot Noir, a very popular variety, is a tricky grape to grow. Hail and frost periodically wipe out parts of the crop, further diminishing the quantity of these wines available. Demand from collectors drives up prices—a single bottle of a top wine from a top producer in a top vintage can easily command four figures. That fuels a rise in land values, and so on. Do I think some wine is unjustifiably overpriced? Yes, unfortunately; sometimes it's all about creating a luxury image with fancy packaging and sophisticated marketing. But we can't forget that the majority of wine is made by farmers and producers who work hard to make the best wine they can in an industry with very thin profit margins. Alex considered this and replied that the value that's most important to her is deliciousness, not rarity or the prestige of a producer or region. In which case, no, she doesn't need to spend more money on a bottle of wine. If you can relate to this, $10 to $20 is your sweet spot. But I did leave her with one extra thought to ponder: Whatever the price-point, there may be added costs involved in a wine that's made in a way that's good for the planet, or by a company that pays its workers well—both values I know are very important to her. So the question really is: Is a wine's price right for you? The advise I give to anyone who asks is a wine is worth what you are willing to pay. Furthermore, when a good wine is enjoyed with family and friends it’s priceless! Cheers!